Berry K. Tucker & Associates, Ltd. has professional bankruptcy lawyers in the Oak Lawn, IL area with over 50 years of experience. They have extensive knowledge in assisting individuals manage their debts and need to file for bankruptcy. In addition, they are able to evaluate your unique situation and advise you of your best legal options. When filing for bankruptcy, there are two different types: Chapter 7 and Chapter 13. While our bankruptcy attorneys have years of experience in handling both situations, Chapter 7 is the most common. In these cases, all unsecured debts will be forgiven. 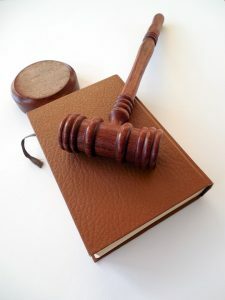 This typically will include car repossessions, credit card debt, medical debts, as well as home foreclosure judgments. While every case is unique, these are the most often associated for those living with insufficient or no income to satisfy their debts. When this occurs, our lawyers can simplify even the most complex processes, guiding you to make the best financial decisions along the way. Car Repossession: If the loan company repossesses the car, you have a limited time to take the car back. The bankruptcy lawyers at Berry K. Tucker & Associates, Ltd. can help you along the way. They will negotiate with your loan company to establish a consistent payment amount and request to drop any late fee charges. We can also defend you if they decide to collect the remaining amount of the outstanding loan and the additional costs associated with the repossession. 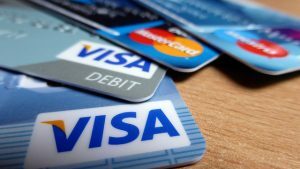 Credit Card Debt: When you are faced with an overwhelming amount in credit card debt, don’t let the numbers frighten you. As credit card agencies will charge as much as they can in interest, their annoying, even harassing, phone calls will persist until they have your money. However, you can avoid this by partnering with one of our experienced attorneys; they will represent you in bankruptcy court as well as advise you of your best legal options. Medical Debts: The lawyers at Berry K. Tucker & Associates, Ltd. understand that there are many concerns associated with bankruptcy; however, it can often take longer to recover from the high costs of medical bills than bankruptcy itself. Call us today to discuss your legal options with one of our medical debt bankruptcy attorneys. Home Foreclosure Judgments: While the thought of losing your home can be a nightmare experience, one of our bankruptcy attorneys will fight for you and may often stop the process. By doing this, we will negotiate with the bank in which we may be able to lower your mortgage payment. Call us today to discuss your possibilities. The other form of Bankruptcy, Chapter 13, is for individuals who, despite having substantial income, however, they who to pay their bills in full. Our attorneys will work with you in setting up an effective payment plan that allows for an affordable option to pay off your debt. 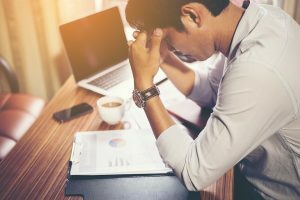 As this type of bankruptcy can be complex and requires special attention to detail when developing the plan, it is highly recommended to contact one of our experienced bankruptcy lawyers. If you live in or near the Oak Lawn, IL area and are thinking about filing for bankruptcy, call Berry K. Tucker & Associates, Ltd. at (708)425-9530 before taking action to discuss all of your legal options.